The theory: at a given pressure ,circular fabric specimen and the same material, carrying out friction Lissajous trajectory graph, after achieved the required rotation, evaluate the pilling degree of the specimen. 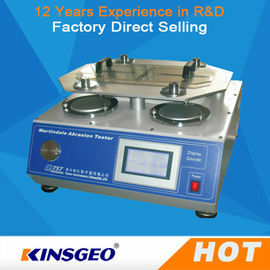 Also applies to GB/T13775, ASTM D4966, ISO12947 and other fabric wear test. The theory: circular fabric sample at a certain pressure, rubbing with the standard abrasive according to Lisa if (Lissajous) curve’strajectory, leading to specimen damaged, use the times of specimen damaged to represent fabric abrasion wear resistance. 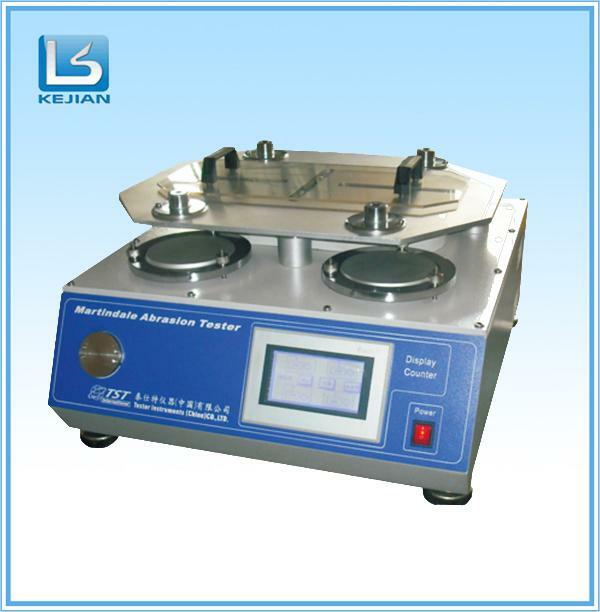 The instrument learn the advantages of domestic and foreign similar equipment’s design, it with elegant appearance, and touch display screen, the interface easy to understand, easy to operate,computer system uses two counting methods, visual appearance, convenient setting, 8 station testing at the same time to improve test efficiency. Instrument also has two kinds of Li Sha Ru (Lissajous),saying 24mm × 24mm and 60.5mm × 60.5mm, and a variety of trajectory matching accessories, can adapt to a variety of test methods standard. The pilling degree test of fabric of GB/T4802.2,ASTM D4970,ISO12945-2 etc. The wear test of fabric of GB/T13775,ASTM D4966,ISO12947 etc.